Over the centuries the monastic complex founded by St. David of Gareji became a spiritual and cultural center for all of Georgia. Many of the faithful flocked there with a desire to serve Christ. Among them was the hieromonk Kozman, who would end his earthly life as a martyr. Few details of the life of Holy Martyr Kozman have been preserved. 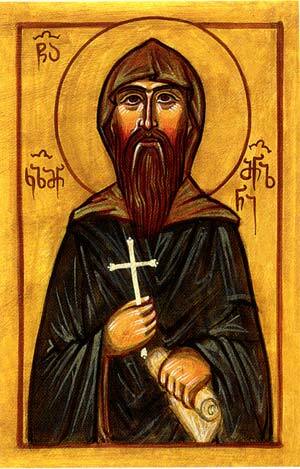 According to the Georgian catholicos Anton, St. Kozman was a learned and righteous ascetic, well-versed in the canons of the Orthodox Church. St. Kozman composed a set of “Hymns to the Great-Martyr Queen Ketevan” but his work has not been preserved. According to the 19th-century historian Platon Ioseliani, Hieromonk Kozman was taken captive and tortured to death in the year 1630, when the Dagestanis were carrying out a raid on the Davit-Gareji Wilderness.